PT.Tendri Dharma Samudera have sister company PT.Tendri Nabarda Samudera since 2001 act as Stevedore company at Tanjung Priok Port. PT. 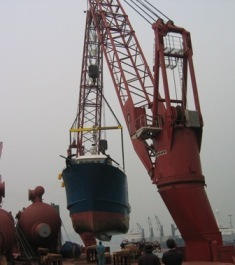 Tendri Nabarda Samudera have many staff with high skill and experience before for loading/discharge method is specially for Project Cargo and Dry Bulk. 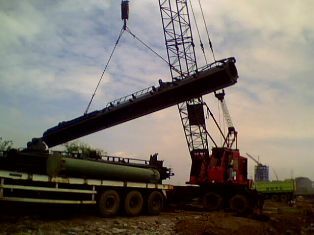 The Company have Equipment can lift with capacity 50mt, 250mt. PT.Tendri Dharma Samudera ready and to do arrange as the port agency for all types and size of the vessel which will be called to our Indonesian ports. The Company will providing a price and Services with competitive since your company can offering delegates for our company as the general Agent, Port Agency or Local Agency. PT.Tendri Dharma Samudera was ever to arranged as the Local Agent for all Vessels should be berthing or anchorage while she loading at other open sea ports in Indonesian since our company was chartered the vessel's to providing all parcels to lifting and delivery it's to port destination such like China, India, Thailand, Vietnam and also European ports. As the Local Agent for all owner's Ships we usually offered competitively price and services. The Company also to serve availabilities for owners request for their vessel's consumption requirment for Bunkers, Fresh Water, Sundries etc.